When we say “Ours is a traditional society”, or “Indian civilisation is a 5000 year old living civilisation”, seldom do we realise the full import of these statements that we are making; and seldom do we realise the responsibility that it puts on our shoulders. Indian civilisation, whose fountainhead are Vedas, is not a “traditional” and “living civilisation” just because we have a set of old books with us, but because we still pass these Vedas from one generation to another through oral transmission, from father to son and from Guru to Shishya. Not on paper or palm-leaves but Vedas are preserved in the memory of such Pandits. Whole set of complex rituals are preserved through their practitioners. It’s through such transmission that the Vedic corpus and rituals have survived and reached us through thousands of years. In other words, every traditional Vedpathee we see in a Ved-Vidyalaya today is the newest addition to an unbroken chain at least three thousand years old. We have the Vedic corpus till we have these ‘keepers’ among us, and if by any misfortune they cease to exist, so do these traditions, so do the Vedas. A Shakha (recension) of any Veda can be explained as a unique way of reciting it and the arrangement of Suktas (hymns), along with a whole set of rituals associated with it. A complete Shakha is made up of four different parts, viz, Samhita (or the collection of Mantras/Suktas), Brahmana, Aranyaka, and Upnishad. As mentioned, different Ved-Shakhas are preserved and practiced by different priestly communities and families. Maharishi Patanjali mentions in his Mahabhashya that there are total 1131 Shakhas of Vedas- 21 of RigVed, 86 of Krishna YajurVeda, 15 of Shukla YajurVeda, 9 of AtharvaVeda, and 1000 of SamaVeda. But most of these Shakhas are now extinct. In case of RigVed the only existing Shakha is Shakal/Ashvalaayan, prevalent mostly in Maharashtra and Karnataka. Another Shakha of RigVed, Śaṅkhāyana, was believed to be extinct with no surviving practitioners. But it was at this point that things took an interesting turn some four years ago, in 2014. 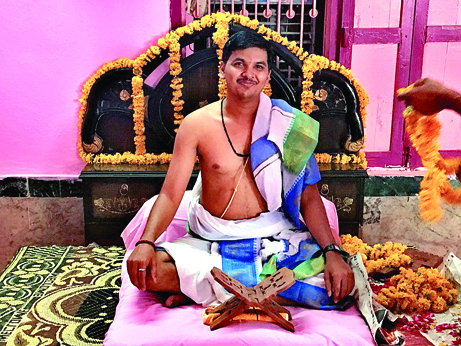 A young IT Professional from NOIDA, Mohit Bharadwaj, who traditionally learnt Shukla YajurVeda during his college days, made it his life’s mission to revive Vedic Shrauta Rituals in North India, in the land of Ganga-Yamuna or Antarvedi, as he puts it. In the course of action he met Shri Gyanendra Sapkota, another scholar of Shukla YajurVeda from Nepal. In their quest they came to know that there are still two Brahmins in Banswada, a small town in Rajasthan, who are learned in chanting the Samhita of Śaṅkhāyana Shakha. The two septuagenarian Brahmins, Shri Indrashankar Jha and Shri Harshad Nagar, belong to Nagar Brahmin community. They were the last surviving exponents ofŚaṅkhāyana Samhita. Both Shri Gyanendra and Shri Mohit at once realised that it’s the last chance to preserve the Samhita, and somebody needs to learn it from these Acharyas. At this point Shri Abhijit Dinkar Savale, a young man from Maharashtra volunteered to learn the Samhita. The decision was not at all easy for Shri Abhijeet; RigVed is a copious text with more than 10,000 Mantras, it takes nearly 6 years to completely learn the Samhita. 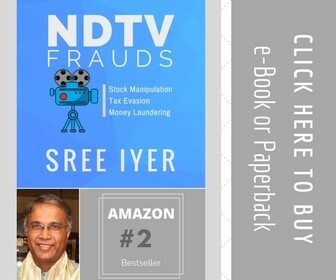 Shri Abhijeet had already completed his study of Shukla YajurVeda and was doing Paurohitya to sustain his family, devoting himself to studyŚaṅkhāyana Samhita meant creating serious financial issues for his family. Still he took the task of learning upon him. But the real turning point of the story was yet to come. 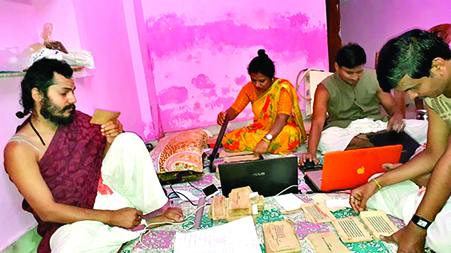 During their visits to Banswada, Shri Mohit and Shri Gyanendra learned from the two Acharyas that they, and many other Nagar Brahmin families of Banswada, have centuries old manuscripts in their possession. When the three young men started reading and analysing the manuscripts, to their utmost delight they discovered the entire Shakha ofŚaṅkhāyana - the Samhita, Brahamana, Aranyaka, Upnishad! Along with that there were various commentaries by scholars, with minutest details of how to perform various rituals of the Shakha. The entire RigVedic Shakha ofŚaṅkhāyana , believed to be extinct centuries ago, was there in front of them with all its texts, commentaries and everything that needs to make a Shakha complete. Preservation and digitisation of these fragile manuscripts was of utmost importance now; but needed sound financial support. Here, Shri Mohit made the optimum utilisation of twitter and appealed all the like-minded folks to contribute for this cause; made them realise the urgency of the situation. Fortunately, many individuals came forward and generously donated for this cause. After receiving high-quality scanners the task of digitisation started in full-swing. Around 45,000 pages of manuscripts are scanned by now! The oldest of these manuscripts is of Panini's Ashtadhyayi from 1420 AD. A manuscript ofŚaṅkhāyana Brahmana belongs to Vikrama Samvat 1525, or 1468 CE; which means just four years younger than oldest paper-manuscript of RigVed Samhita found so far, which is from 1464 CE, preserved in Bhandarkar Oriental Research Institute, Pune. Speaking about the moving content of one of these manuscripts Shri Mohit stated that one of the Acharyas appealed in his manuscript to the next generations "My back is broken, my fingers don't work and I find it hard to look straight, yet I write this grantha; do the yagyas and protect it, look after it." “It’s our duty to carry his legacy forward” says Mohit. Three young devotees of Vedas, two septuagenarian Acharya, and a few thousand manuscripts; thus an 'extinct' tradition was revived. Now after almost 4 years, Shri Abhijeet’s study ofŚaṅkhāyana Samhita is complete. 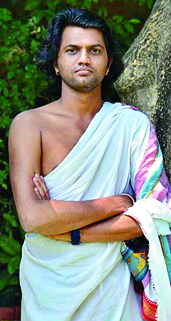 Recently he did the formal Parayana of the Samhita in Banswada, starting from June 23, Nirjala Ekadashi to June 30th. It was attended by various Vedic scholars from across the country. So, due to the determination and hardwork of Shri AbhijeetŚaṅkhāyana Shakha of RigVed is all set to flourish again. Shri Mohit Bharadwaj has quit his job in IT industry and has fully devoted himself to fulfill his dream of revival of Vedic Dharma in the land of Ganga-Yamuna. He has established a trust ‘Vaidik Bharat’ and plans to establish a residential Ved Pathshala with modern education, near Delhi where he will teach Shukla YajurVeda and Abhijeet will teach RigVed. "There's a lot of work that needs to be done. We have found many rare manuscripts of Gurjar Paddhati (a way of reciting) of SamVeda's Kauthum Shakha. Only 6 people are alive who know this paddhati. We are planning to do some work in this direction too." Says Shri Mohit regarding his future course of action. Action is in my right hand, so success is in my left.